Black utility mat is easy to install in any work area where you require under foot comfort. Add sets to cover larger spaces. 16 square feet per pack. The Best Step Multi-Purpose Folding Mat measures 47.25 inch x 19 inch when fully expanded. It has 5 built-in hinges so there are many ways to use it. It's ideal for any home project that requires sitting, kneeling or lying down, providing water-resistant cushioning. 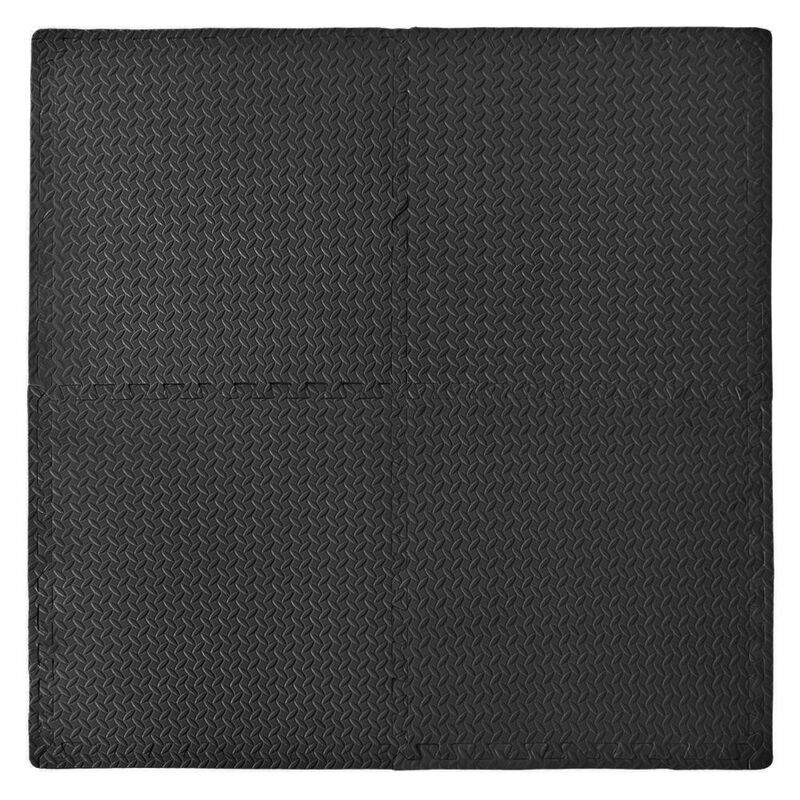 Connect-A-Mat Anti-fatigue Utility Mat - Black (4 pack with borders) Black utility mat is easy to install in any work area where you require under foot comfort. Add sets to cover larger spaces. 16 square feet per pack.